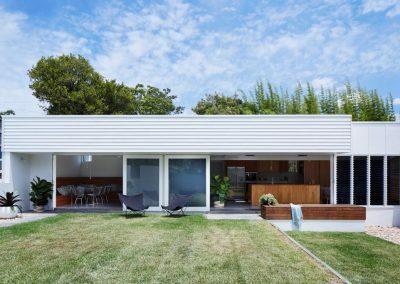 This renovation and addition of a Camp Hill home by Nielsen Workshop in collaboration with Morgan Jenkins Architecture has been completed in three stages. 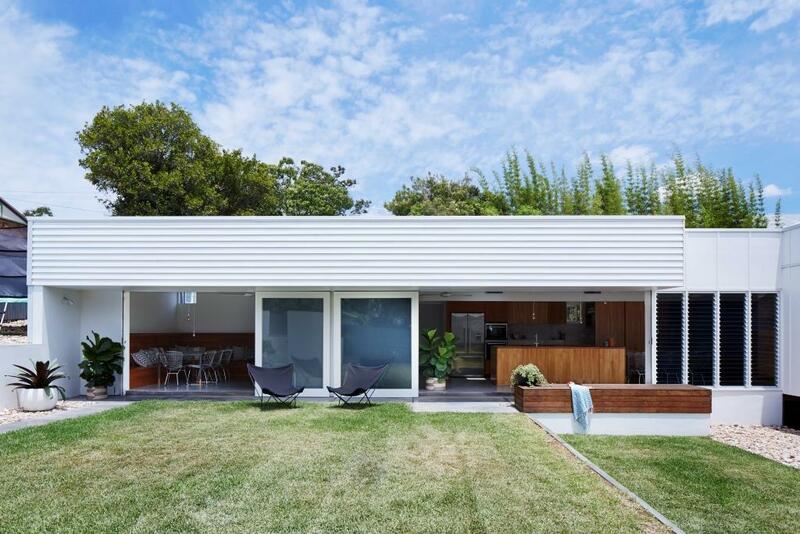 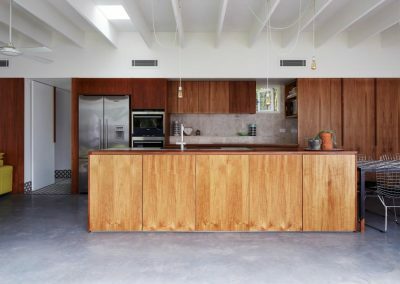 The extension joins the western and southern edges of the property connecting with the existing Queenslander house only through a short corridor and modest extension to the main living room. 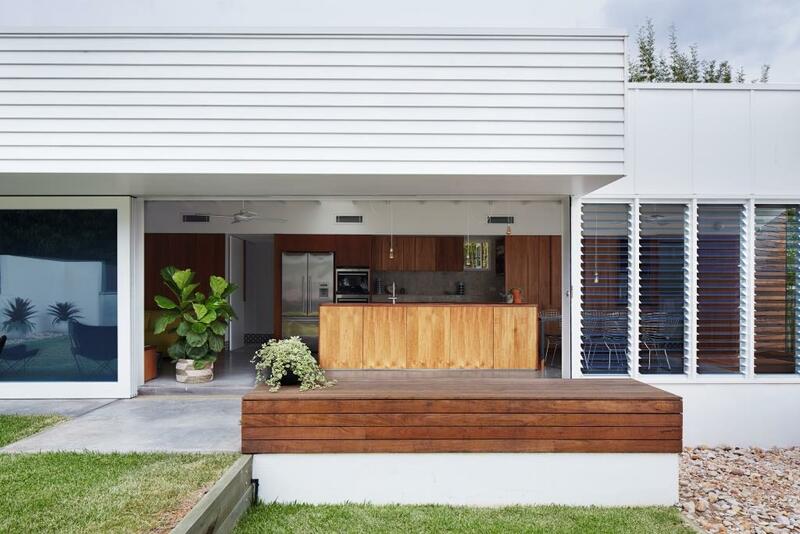 The existing style of the street frontage is well preserved and the new reconfigured entry point to the property is only visible to visitors once inside the front gate. 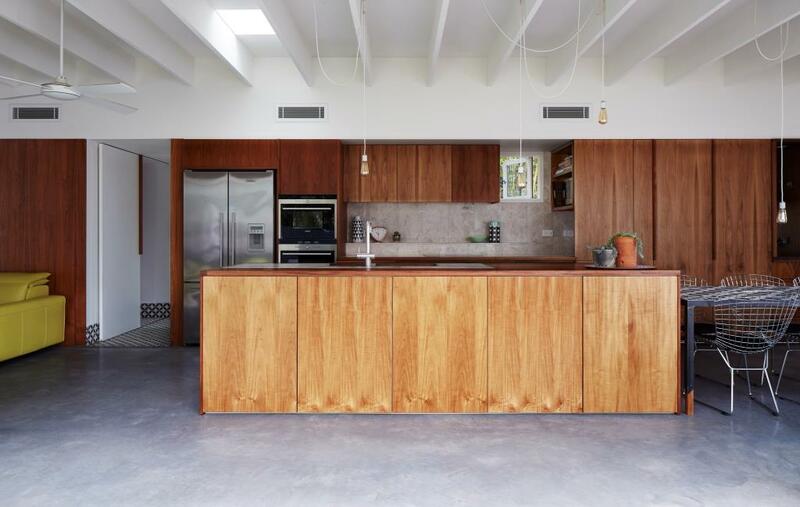 Rich timber cabinetry can be seen in the western side of the extension. 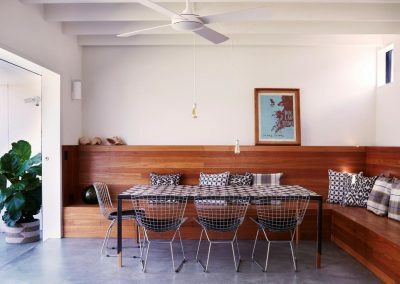 This beautifully crafted texture adds warmth to the home. 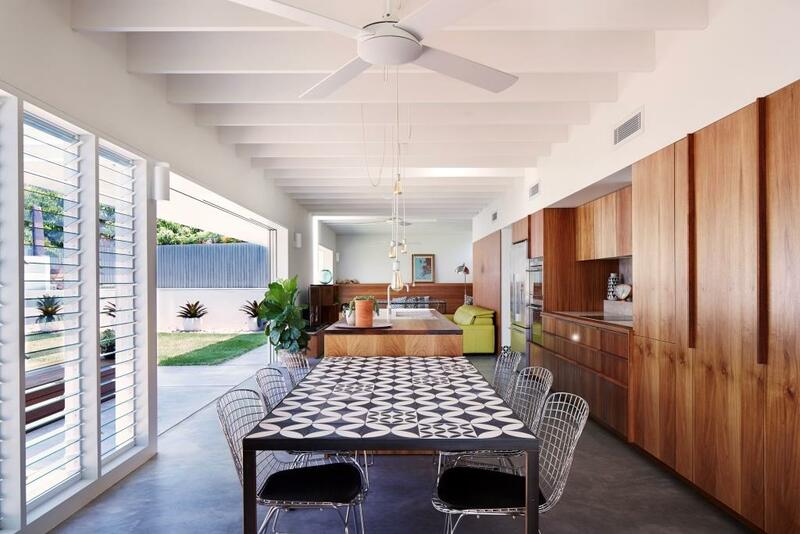 Polished concrete floors open out to the east and the backyard through large stacking sliding doors. 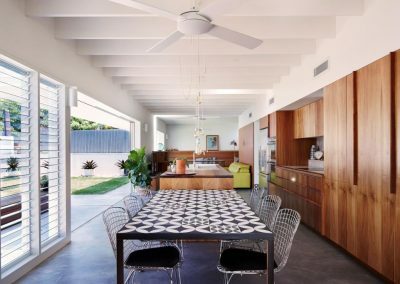 Multiple bays of Breezway Altair Louvre Windows have been incorporated into the dining area to provide uninterrupted views out onto the backyard and pool while leaving occupants feeling fresh and comfortable in a naturally pleasant environment. 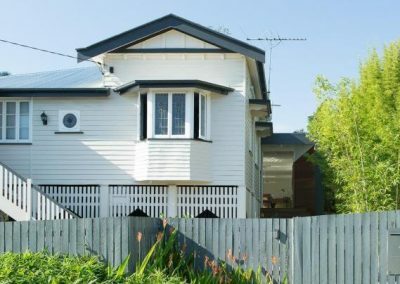 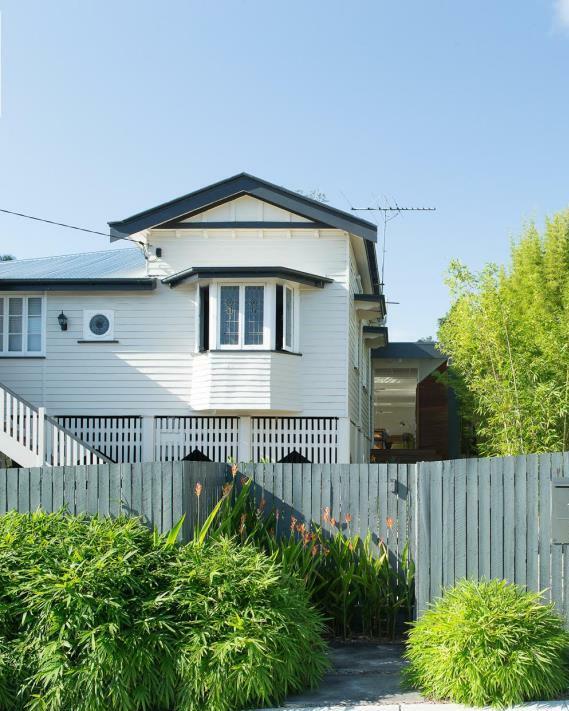 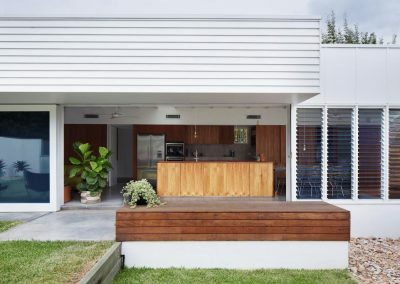 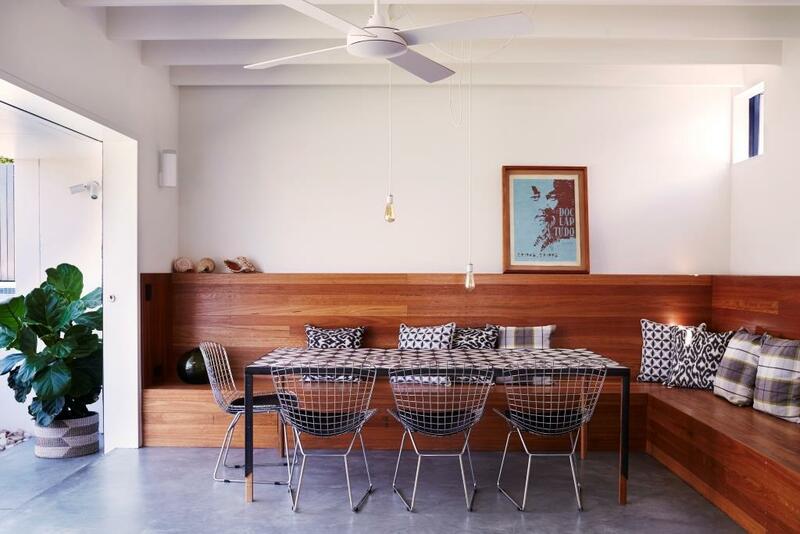 Overall the project has an innovative take on traditional alterations and additions to a Queenslander allowing the homeowners to enter and interact with the home in a unique, contemporary way.